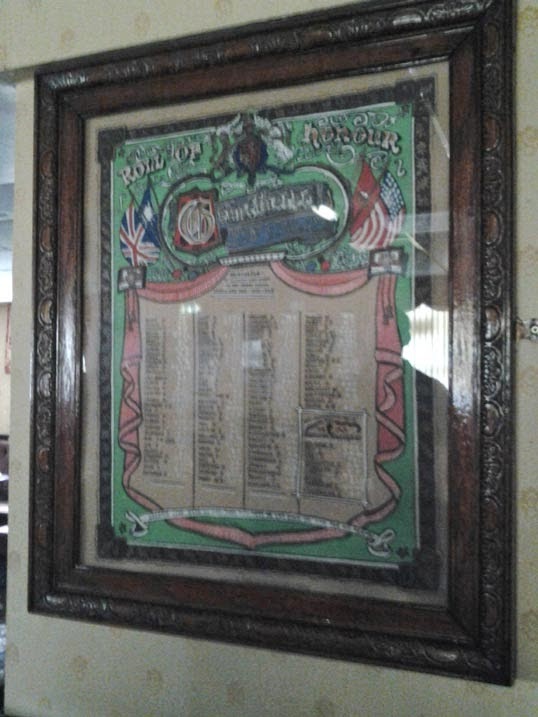 This plaque is in the main room of the club, framed with glass it was difficult to photograph without reflections from the windows and in the low light conditions. Separate images were taken of sections to enable us to prepare a transcription. This was painted by my Grandfather Eric Leonard Firth (everyone knew him as Lenny). Thanks for this Mike, what a great bit of background information. It's a lovely piece of work too!